If you want to achieve your best smile now and in the future, routine dental checkups are non-negotiable. At Montevallo Family Dentistry, we help patients understand the importance of preventative dental care, which typically includes a professional dental cleaning and exam every six months. These appointments can greatly reduce your chances of encountering painful or costly dental problems, such as decay, gum disease and more. Dr. Bobby Shunnarah is a reputable family dentist who serves Montevallo patients with the best that modern dentistry as to offer. While our practice is fully equipped to restore damaged teeth or enhance the appearance of your teeth, we believe that the foundation of a confident smile begins with routine dental cleanings and checkups. When choosing Montevallo Family Dentistry, you and your family can expect to receive compassionate and attentive care from beginning to end. We have equipped our office environment to accommodate both young and older patients, offering amenities such as flat screen TVs, warm blankets and soothing music while we tend to your smile. Dr. Shunnarah uses state-of-the-art dental technology and skilled techniques to ensure your visit is efficient, comfortable and highly rewarding. During your dental exam, you will receive a thorough evaluation of your entire mouth. Our advanced technology allows us to detect oral cancer, gum disease and tooth decay at its earliest stages. Dr. Shunnarah and one of our hygienists will work together to assess the health of your gums, take necessary x-rays and perform a meticulous cleaning and polishing of your teeth. A professional cleaning is a vital step toward optimal dental health, as it is the only way to remove hardened plaque and tartar that accumulates over time. Your routine dental appointment also provides a time for us to discuss any concerns or problems you may have regarding your smile. If further treatments are necessary to restore your smile health, you can trust that we can complete them here in our Montevallo office. Dr. Shunnarah will take the time to carefully explain treatments such as dental fillings, root canals, periodontal therapy and others. Our full-service dental practice means that our patients can experience dental care in the most convenient way possible. 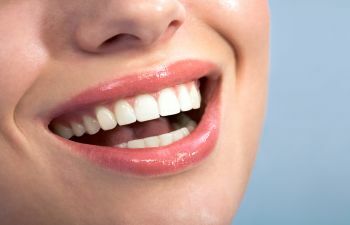 We can address every single aspect of your smile, through all stages of life! To schedule a dental checkup for yourself or a member of your family, please contact our dental practice today. We proudly offer the top quality dental care you need, in the comfortable, rewarding environment you deserve. Montevallo Family Dentistry welcomes new patients and we accept most dental insurance carriers.